This week, a Thai naval vessel paid a visit to Vietnam in yet another official exchange between the two Southeast Asian states. The interaction highlighted the ongoing activity on the defense side of the strategic partnership that both sides have forged over the years. As I have noted before in these pages, even though Vietnam and Thailand had a relationship characterized by animosity for much of the Cold War, ties have gradually warmed since, including in the defense realm. 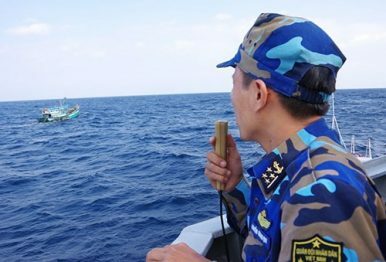 The security aspect of ties has covered various areas from transnational crimes to the regulation of fishermen in maritime boundaries, and both sides have been looking to further boost defense collaboration through several means, including holding dialogues, setting up hotlines, and stepping up visits and training between services. That has continued over the past year as well amid wider domestic and regional developments. In 2018, we saw the continuation of older, more established aspects of security relations, such as visits and exchanges, as well as the advancement of newer mechanisms, be it the Defense Policy Dialogue inaugurated in 2017 or the exploration of a new hydrographic agreement. This week, the defense aspect of the relationship was in the spotlight again with the visit of a Thai naval ship to Vietnam. The Thai naval ship HTMS Tachin (FFG 471), captained by Captain Smitnat Kunnavatana, was on a four-day visit to Da Nang from December 31 to January 3. The visit of the Tachin, which officially began with its docking at Tien Sa port, saw a series of interactions between both sides designed to bolster collaboration between the two navies and the two countries more generally. According to Vietnam’s defense ministry, this included a reception with the Vietnam People’s Navy, Military Region 5, the municipal Border Guard Command of Da Nang, and the Thai Embassy in Vietnam, a courtesy call on Naval Region Command 3, people-to-people interactions between personnel, as well as a visit to tourist sites in the city. Unsurprisingly, not much in the way of additional details was disclosed regarding the visit and its interactions. Nonetheless, as we move into 2019, which will see Thailand holding the annually rotating chairmanship of the Association of Southeast Asian Nations (ASEAN) before handing this off to Vietnam in 2020, both sides can be expected to continue to develop their bilateral relationship amid a long list of other priorities and relationships.